A home such as this is why people are drawn to old fort myers. This very special home is now available after 54 years of family ownership. Built in 1925 with a combination of fine details and solid construction, this old florida style home on almost a half acre with gulf access is situated on an idyllic street & filled with warmth and charm. Graced with over 400 square feet of front and side porches, this 4 bedroom 3 bath home has formal living and dining, 2 offices, family room and huge laundry/craft room. It features original solid oak and pine wood floors throughout, a wood burning fireplace, and a spacious and updated eat in kitchen. The grounds are landscaped with exotic tropical plants and mature trees that provide a natural florida feel. A storage shed that complements the design of the home with abundant space sits conveniently behind the house. For the buyer interested in more land, the adjoining lot is available for purchase with the home making this a unique opportunity on one of the most desirable streets in fort myers. Spectacular sunsets! 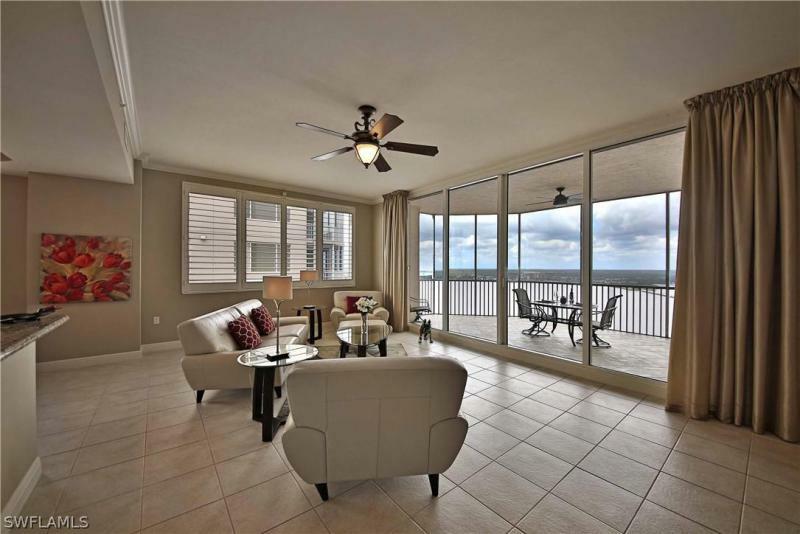 If you need to see the gorgeous florida sunset each evening, this 31st floor residence is the home for you! One of very few units at high point place with unobstructed down river views from the great room and both balconies. Get ready to fall in love! Beautiful 2,230 square foot condo has 3 bedroom and 2 baths, 10-foot ceilings and crown moldings. The granite kitchen is ideal for entertaining with ample counter space, huge walk-in pantry and desk work space. The master suite has ever-changing day/night views, a large closet and ensuite bath with dual sinks, garden tub and shower. Are you tired of living in a too-large home that ties you down with weekend honey-do projects? Then you are ready to enjoy the care-free lifestyle that condo ownership offers! Walk to downtown fort myers' festivals, restaurants, shops and entertainment. Work out in the hpp fitness center, then take a dip in the pool or soak in the hot tub. Visit with friends and neighbors in the hpp gathering room at one of the many planned social activities. You are going to love life at hpp! Spectacular soaring views await you in this 31st floor residence at high point place, the crown jewel of the downtown fort myers river district! Day or night, rain or shine, you will marvel at the ever-changing vistas unfolding before you. Over 2,200 square feet of luxury high rise living. A short walk to all downtown fort myers has to offer: dining, shopping, entertainment and special events. Two bedrooms plus den with 2 1/2 baths. Spacious kitchen with ample granite counter space, breakfast bar and pantry. Separate area for formal dining. Master bedroom retreat has a walk-in closet and ensuite bath. Split bedroom floor plan ensures guest comfort, peace & quiet. The den is ideal for those working from home. Enjoy countless hours relaxing on the screened balcony overlooking the river and city. Ten-foot ceilings, crown molding, whole condo wifi, custom window treatments, 3 ceiling fans. Move right in. Furnishings are negotiable with exceptions (artwork not included). Hpp amenities include gathering room for socializing, fitness center with saunas, pool/hot tub/bbq grills, guest suites. You are going to love living the hpp lifestyle! Welcome home!